After going to more than 300 cities in the world Cats is finally coming to town. Cats with music by Andrew Lloyd Webber is one of the most successful musicals of all times. I was based on T.S. Eliot's 'Old Possum's Book of Practical Cats'. 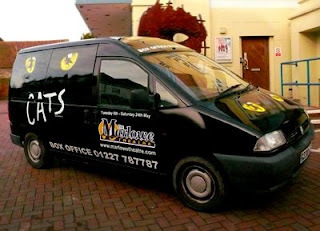 The Marlowe - one of the two main theatres in Canterbury is showing Cats on Tue 6 - Sat 24 May. I am out of the loop and thought this was a vehicle selling or delivering cats. The four-legged kind. How great! 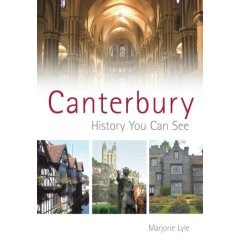 Canterbury will love this. Thanks for your comment - You were already on mine, by the way! Do hope you get to go. It's a great musical!!! I had no idea that you had a blog! I remember seeing Cats BC(before children)so it must have been the early 80's. I hope you go it's a great show.